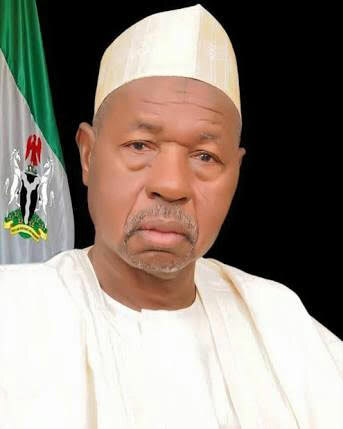 KATSINA Governor Aminu Bello Masari of Katsina State has said that it is for the opposition political parties to cry foul over last hour change of plan by the Independent National Electoral Commission, INEC, who postponed the general elections earlier scheduled for Saturday February 16th, 2019. Governor Masari stated this while reacting to the opposition political parties insinuating that President Muhammadu Buhari was behind the postponement of the Saturdays election. According to him, I think it is absolutely wrong, all the parties have gone round the country, we have seen party that is more popular than any other, that is the fact on ground. We are not afraid of election. In fact, the President is the most happiest person because he flew all the way from Abuja to cast his votes. He was here since on Thursday. So, naturally, the opposition will cry whether he is right or wrong. But i think anybody who wants to be fair to himself and to the nation, if there is any failure, I think the blame should be at the doorstep of the INEC. It is the INEC that didnt take dictation from the President. All the resources was giving to them. For opposition to cry, it is almost deterrent, Masari said. The Governor continued when he cautioned the umpire body not to develop the culture of postponing and shifting elections noting that this is the third time, in 2011, 2015 and now 2019. As far as we are concerned as a party and as a government, we are more than ready to provide all that is necessary to conduct election. We are ready two days ago, I believe those who are in katsina on Wednesday or Thursday would have seen that we are more than ready. And the postponement based on previous experience did not come to us as a surprise, the only concern about postponement election almost the last hour. That I hope we dont develop or INEC does not develop a culture of shifting dates of election especially without proper notice and untime. Because it cost the political parties and government to provide security. Also spending money again and again. Im sure the law enforcement agencies were ready since yesterday and they were being prepared. Some of them were deployed from other states, some from other local government to local government. It will cost the Nigerian tax payers money. It is time for us to look at why INEC cannot meet up with it logistics needs on time. But be it as it may, it has happened, so we have to live with and work within it. And make sure that it works for the betterment of our country. And also if you could remember, in 2011, the voting was half. In 2015, only two days to election, the election was shifted to another six weeks. Today, the election has been shifted to another one week. So obviously, I think it is not right. But the reality on ground is that INEC cannot conduct this election today because this is a presidential election, the whole country is suppose to be voting on the same day. It is not like local election which one state can conduct while another state are not conducting. I hope we are seeing the last of this kind of shifting or postponement of election almost last hour, Governor Masari stated.